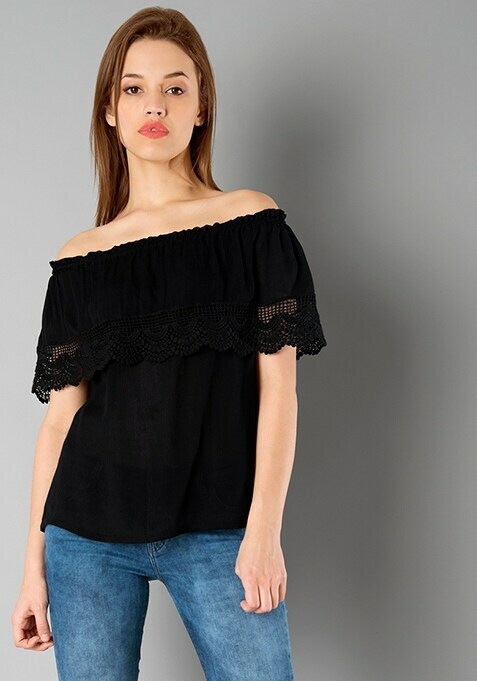 Up your style game with this boho girl black off shoulder top. Features elastication at shoulders along with a crocheted hem ruffle. Work it - Looks great with denim jeans and high heels.